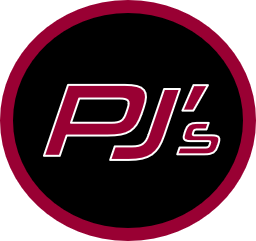 We would like to welcome Clayton Valley Charter High School’s Parent Faculty Club (CVCHSPFC) to the PJ’s Roasted Bean Fundraising Family. Every time you order coffee and/or tea from PJ’s Roasted Bean Coffee Company’s website www.PJsRoastedBean.com using the code CVCHSPFC at checkout, Clayton Valley PFC will receive 20%. As an added bonus you will receive a savings of 10% on your order as well. At the parent information night this coming Wednesday November 7th at 7:00 pm at CVCHS, the Clayton Valley PFC will be handing out business card sized promotional cards with the discount code CVCHSPFC so you can always have the code with you every time you order coffee or tea all year long! You do not have to have kids attending Clayton Valley to receive a discount on your coffee and tea orders. You just need to use the promotional code. Please feel free to share this post by clicking on one of the social media share icons below so others can save and help our schools at the same time. Please help support the Clayton Valley PFC! PJ’s Roasted Bean Coffee Company is a local business and we infrared roast our beans in Livermore, CA. Less than 2% of the coffee world wide is infrared roasted. Our process allows our coffee to never be burnt, never bitter, and always be smooth. And our premium loose leaf signature teas are amazing. We have several fun and interesting blends as well as traditional ones like our Egyptian Chamomile. To see a list of our Signature Teas click here. We are proud to help our schools raise money with products people love and use. If you are a school or non-profit looking to have a fundraiser please contact us to see how we may be able to help you. Supporting Our Schools One Bag At A Time!